Tech giant working hard to put a positive spin on the theme of automation, which the company itself asserts could wipe out 40 percent of existing jobs. SAP offers a whole range of technology and service solutions which are aimed at automating business processes. Good news for businesses looking to cut their operational costs, bad news for workers in these roles and politicians with protectionist rhetoric. The German software-maker is remaining optimistic about the impact of AI and automation on society though. Just this month at it's Leonardo Live event intended to showcase its "digital innovation system" Leonardo the company at once bragged about its technology being able to automate processes in the manufacturing and agriculture industries, while remaining optimistic about the impact this will have on jobs. Read next: What is SAP Leonardo? Speaking at the event, president of SAP Europe, Middle East and Africa, Franck Cohen, said: "The most disruptive technology for me is machine learning and AI. The reality is that we are still at the early stage. We call it narrow AI, but still with this capability we can probably automate 40 percent of the jobs today across the globe. "I am fundamentally convinced that AI and ML will reshape the industries of tomorrow by automating and improving processes. Everything that used to hardware will become software and everything that can be automated will be automated." To back this up PWC published a report back in March which pegged the figure at 30 percent of existing UK jobs which could be impacted by automation by the early 2030s. When asked if this makes him optimistic or pessimistic about the future, Cohen was naturally ebullient: "I am fundamentally optimistic for two reasons. You look at the last industrial revolution which created a better quality of life for many people as they are working less now that machines do part of the job. "I think we are at the same inflection point where the machine can do a lot of work that we do manually. That means we will have a better life as the man and machine together will be important for future generations to have a better life than we do." This is despite most measures showing that people are working more than ever in 2017. The Office for National Statistics shows that people worked, on average, 32.1 hours per week for December 2016 to February 2017, which is part of a consistent upwards curve. 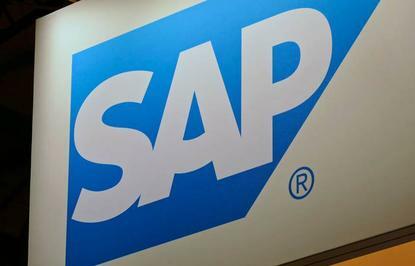 SAP chief design officer Sam Yen even quoted the American computing pioneer Doug Engelbart during his Leonardo Live keynote, stating that SAP agrees that: "Technology should not aim to replace humans, rather amplify human capabilities." Computerworld UK has been unable to verify the origin of the Engelbart quote, however. Yen added: "At SAP it is about improving people's lives and helping businesses run better." These comments came the same week that fellow software giant Microsoft clarified its optimistic worldview when it comes to AI, after the company announced the opening of a new AI research lab with a team of over 100 scientists. The idea of democratising AI, and using it for the good of the planet, is Microsoft CEO Satya Nadella's favoured rhetoric. "It's augmentation not replacement - that's a design choice," Nadella said at Davos this year. "You can come at it and say replacement is the goal, and augmentation is the goal - in our case [it's] augmentation." The president of the new research lab Harry Shum wrote about the societal impact AI could have on jobs, stating: "The intersection of AI with people and society presents us with incredible opportunity and demanding challenges. "As AI breakthroughs abound, we as a technology company have the chance to channel all those innovations into tools that help people do their jobs better and more efficiently, and that solve some of the world's toughest challenges. "We are responsible for building AI advances that amplify human ingenuity, and also that reflect our shared societal values and expectations. The AI tools and services we create must assist humanity and augment our capabilities." There is no doubt that this is a thorny issue, and one which was debated vigorously at this year's Davos conference in Switzerland. However the issue of technology creating greater inequality can't be eliminated with talk of transparency and augmentation. Technology companies are incentivised to calm fears that AI will destroy entire industries, like legal or financial research. However they aren't lying when they say new jobs will also be created. Someone has to administer the machines, and put the insights to work. The issue comes down to the net result of the automation and the ability of industry to adapt. "When it comes to jobs everyone is looking at the fact that jobs are at risk but why don't we look at the roles that are going to be created, with data management, data science and if we combine all of that together I am optimistic that this revolution is going to have a very positive effect on our society," Cohen said.